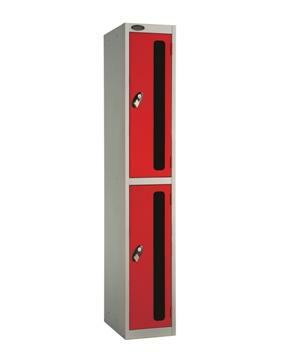 Where you need to have visibility of the contents of lockers at all times or where security is a consideration then the Vision Panel lockers will provide the solution. Fitted with a vision panel in every steel door. Available in three different sizes and with a choice of locking mechanisms. Supplied with 2 double coat hooks.